Watch out, Google Wallet, there's a new player in town. Actually, Google Wallet hasn't really done all that well; it's still being blocked by big carriers, and NFC point of sale systems aren't exactly ubiquitous yet. 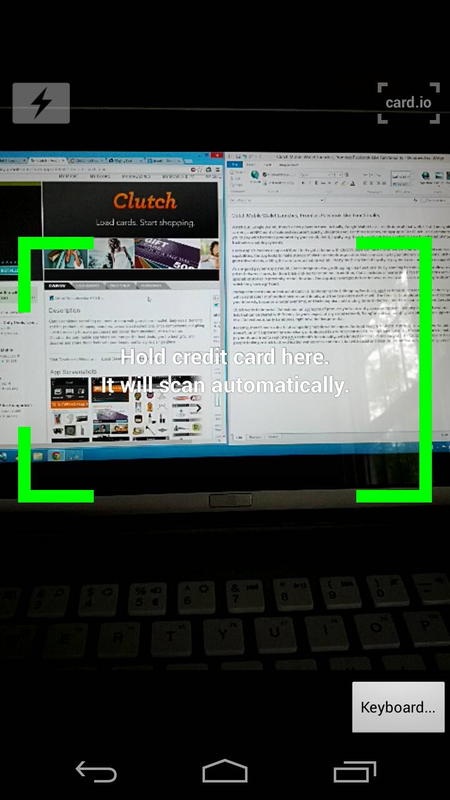 For those reasons, stopgap apps like Clutch - an e-commerce app that allows you to pay with barcodes generated by your credit, debit, loyalty or gift cards - probably have a better chance than Wallet of moving us towards frictionless mobile payments. 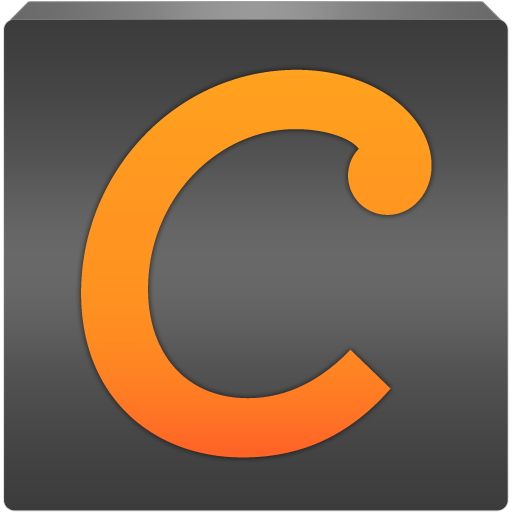 Users of Apple's Passbook app on iOS will feel right at home with Clutch's payment mechanism. 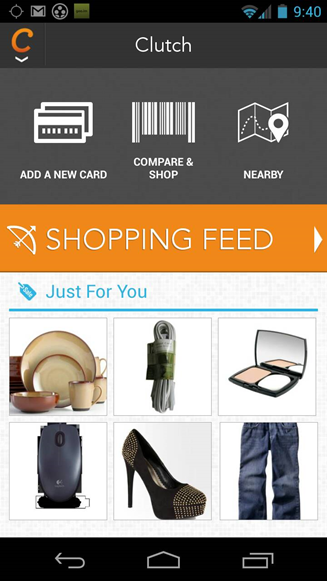 With the aforementioned card-scanning capabilities, the app looks to make storage of plastic as simple as possible. 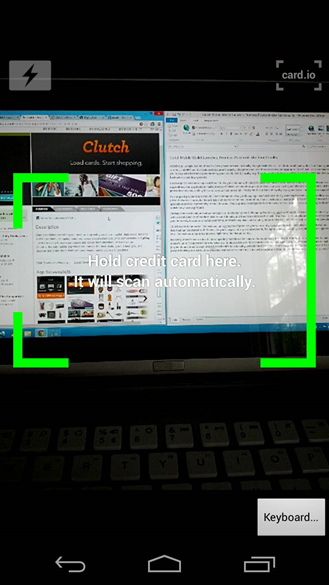 Hold any card up to your phone's camera, and Clutch will identify and grab relevant data, adding the card to your mobile wallet. 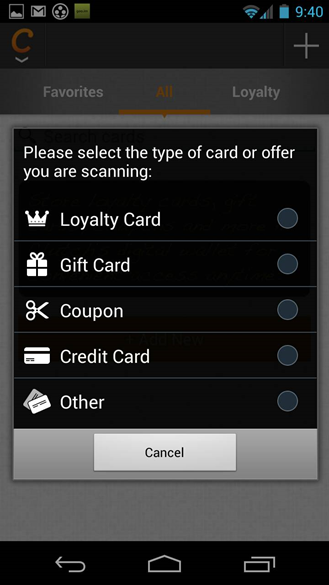 Pretty much any kind of loyalty or payment card imaginable is supported. 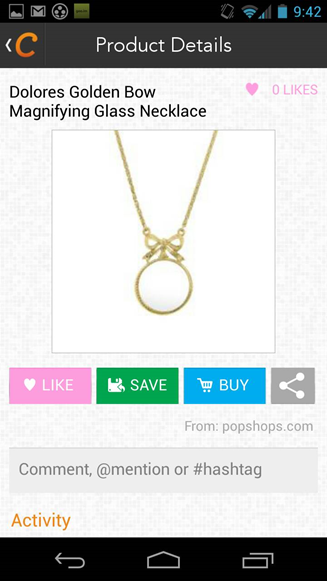 As any good payment app should, Clutch integrates Google Shopping-like functionality. By scanning barcodes, the app allows users to compare prices between stores, be them brick-and-mortar or online. 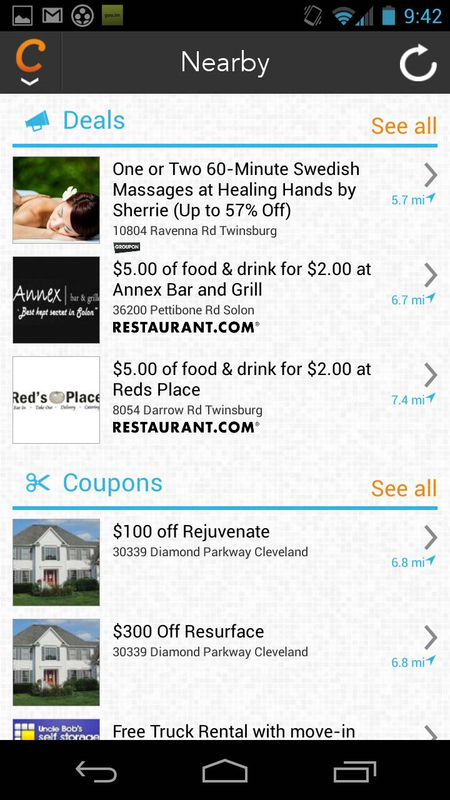 In addition, Clutch includes a 'nearby deals' tab that'll inform users of promotions and specials at stories in proximity to their location. 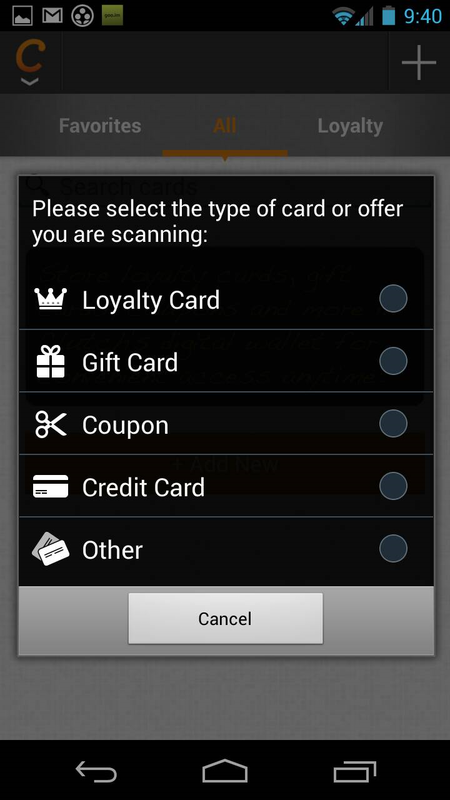 The app also leverages its location-awareness to alert users when they're close to stores for which they have a gift card. 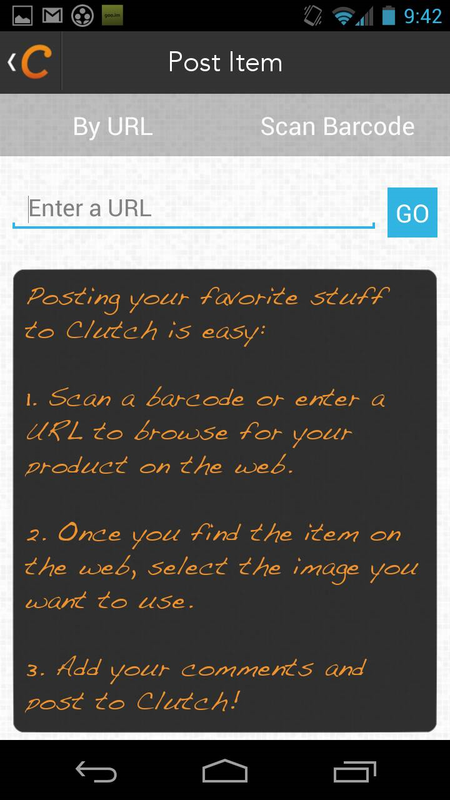 Perhaps the most unique feature of Clutch is its Shopping Feed. Shopping Feeds is kind of like Amazon.com recommendations: you're presented with a scrollable list of product pictures and details, and free to explore each at will. The feed isn't completely random - it's populated based on your interests, becomes smarter over time, and kicks popular and trending items to the top - but it's meant to evoke window shopping, in a way. Clutch wants to be social. Collections - an aggregate of products you've recently accessed through Shopping Feed or elsewhere - are personalized lists that can be shared with friends. As you'd expect of any social network, 'liking' of and commenting on Collections is supported, but not much else. Collections is fairly barebones, right now, but has potential. Recently, there's been a dearth of compelling mobile wallet apps on Android. Google Wallet is truly magical when it works, but sometimes it doesn't, or isn't supported by a merchant, or is blocked by a wireless carrier. Other apps have taken a different approach to mobile payments and tried to replicate iOS Passbook's functionality, with limited success. It's too early to tell if Clutch will prove to be a viable option for people looking to ditch battered leather wallets once and for all, but with social and location -based features, it's looking very interesting.